Your wigs are beautiful and they make you look gorgeous and feel confident. You worry about your investment being damaged by the elements, however. 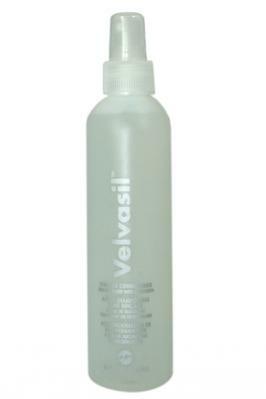 With the Velvasil Silicone Spray, you can protect your wigs from the sun and elements. This product has a leave-in conditioner and sunscreen, protecting your wig with a non-oily, velvety smooth coating that is alcohol free and helps to prevent the color from fading. Since it can be used with all synthetic hair, you can use this worry-free on all your synthetic wigs. Know that you can keep them just as beautiful as when you bought them.